Her newest book, Hoping to Help: The Promises and Pitfalls of Global Health Volunteering (Cornell U. Press, 2016) examines the impact on host communities and on volunteers of short-term international service programs in public health and medical care. She interviewed over one hundred people involved in such programs as organizers, volunteers, and host country staff and surveyed almost two hundred organizations that sponsor volunteers. Her book draws upon research to recommend nine ways in which such volunteer trips can be more valuable for all involved. 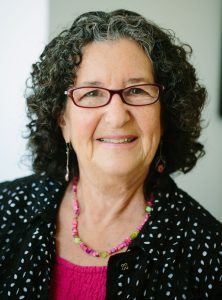 Judith N. Lasker is NEH Distinguished Professor in the Department of Sociology and Anthropology, Lehigh University, Bethlehem, PA, USA. She earned her B.A. at Brandeis and her MA and Ph.D. at Harvard. Judith’s major areas of interest are in the field of medical sociology, with particular emphasis on women’s health issues and international health. She is co‑author with Susan Borg of When Pregnancy Fails: Families Coping with Miscarriage, Ectopic Pregnancy, Stillbirth, and Infant Death and In Search of Parenthood: Coping with Infertility and High‑Tech Conception, and with Ed Collom and Corinne Kyriacou of Equal Time, Equal Value: Community Currencies and Time Banking in the U.S. She has also researched the impact of liver disease and transplantation on women.